Scott Hansen of Blue Nickel Studios invited me to participate as a designer in the Bar Hop Quiltalong and I was delighted! Bars because of the shape... usually rectangular like candy bars... we can all relate to this right? The fabric is from Clothworks the European Taupe VIII Collection by Kinkame. The only fabric that I added was Kona Oyster which can be found here in my online shop. Here is what you will need to make my block which I call "Vertical Horizon". Lay them out as show above. 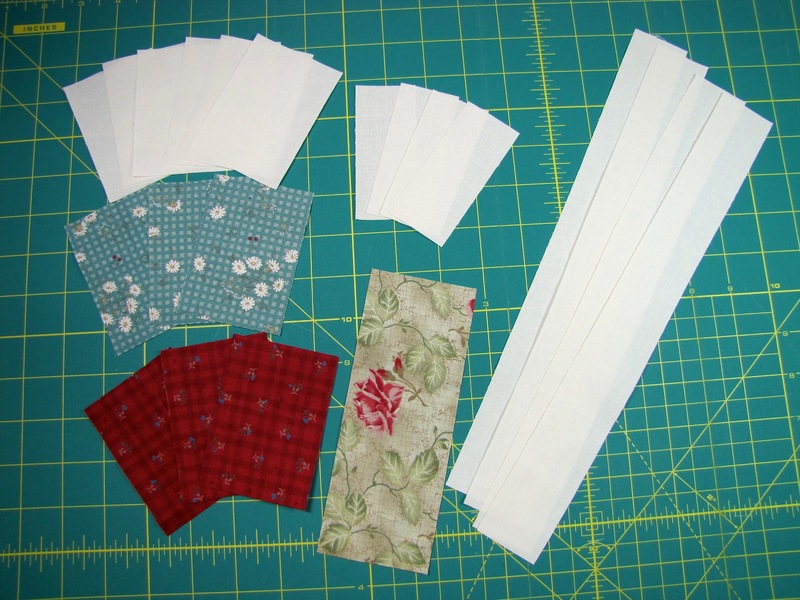 You will use 1/4" inch seam throughout the sewing process. First you will sew the rows of rectangles together. The Oyster to the reds and blues, and the oyster to the floral as shown above. Then sew the long Oyster strips to the tops and bottoms of the red and blue fabric leaving the floral row out. 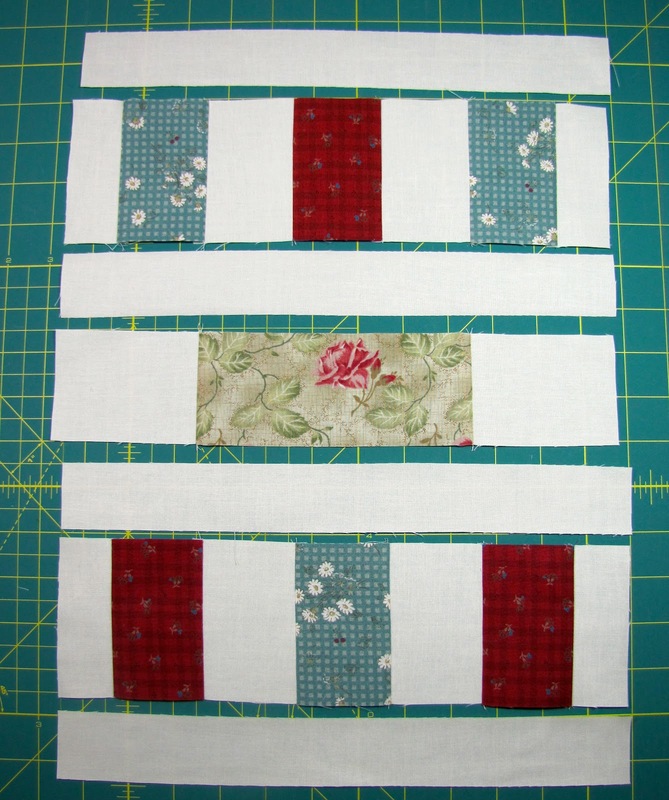 Sew the floral row to the top row of blues and red. Then sew the bottom row of reds and blue to the floral row. You now have a 12.5 inch square block to go along with the rest of the Bar Hop Quiltalong blocks. You can post yours here on the Flickr group.